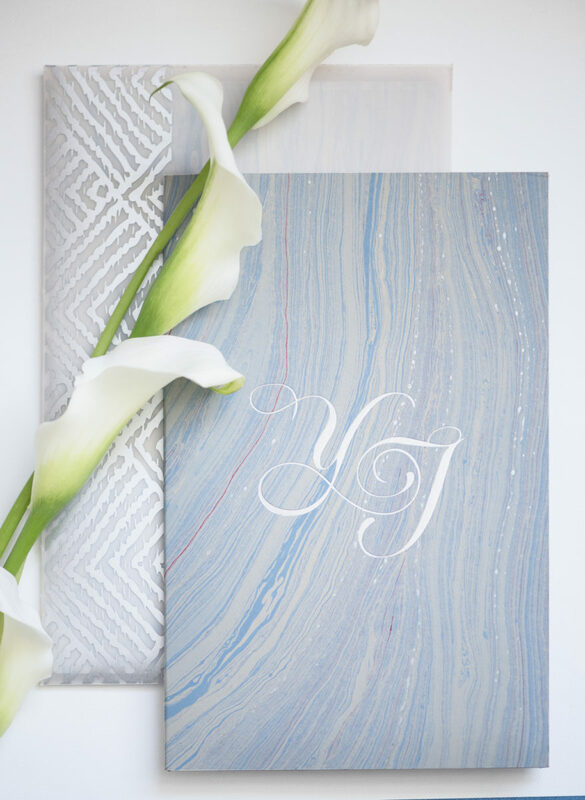 Bespoke invitation folio crafted from fair-trade marbled paper made by woman artisans in Bangladesh, and lined with tuxedo-cut pockets in luminous lapis lazuli Italian made paper. 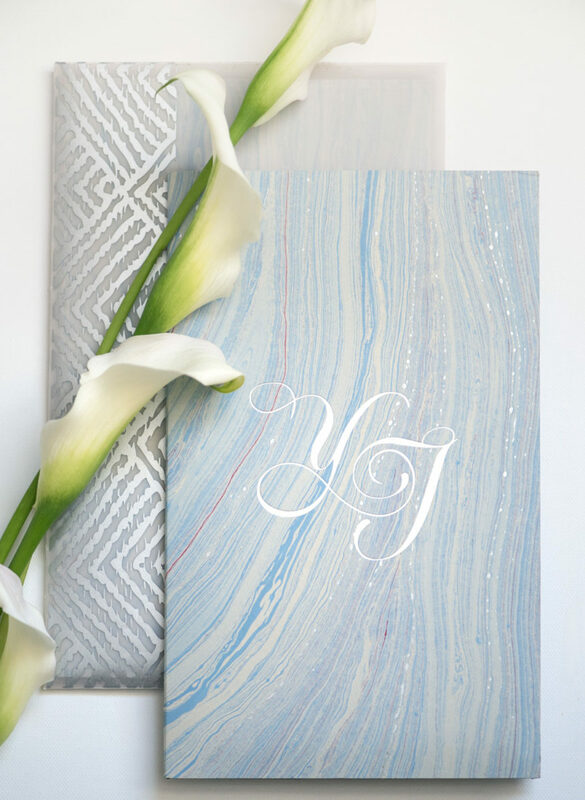 The gorgeous, ocean inspired pattern of the folio, with a luxurious custom designed monogram was tucked inside a translucent envelope.The letterpress & silver foil pressed invitation was mounted in the center of the folio with a Mayan inspired motif with enclosures for events and wedding information, reply card and marbled envelope. Created for the wedding of Yasmina and Jon at the Rosewood Mayakoba in the Mayan Riviera, wedding planned by Mindy Weiss Party Consultants. The couple was married over Halloween weekend and chose to have a Black & White Masqurade ball the night before. 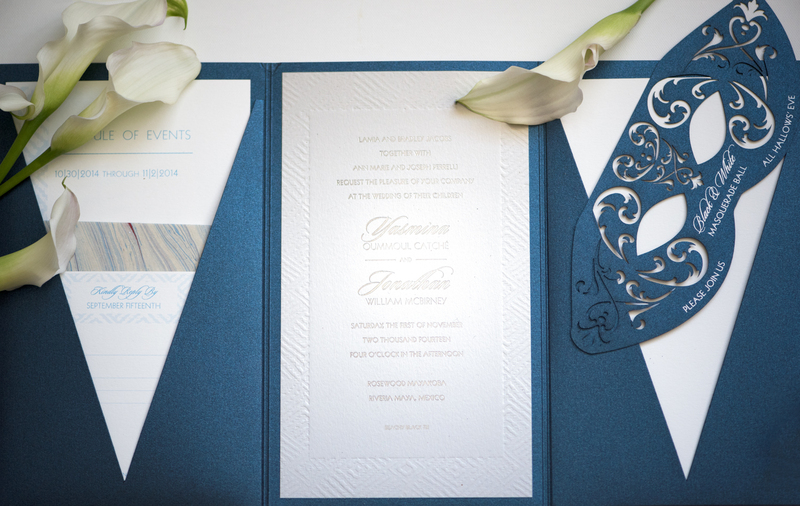 We created a special laser cut mask enclosure that was tucked in the pocket of the folio inviting guests to this event.